There are some unmistakable signs that spring is slowly arriving in Snake Valley. 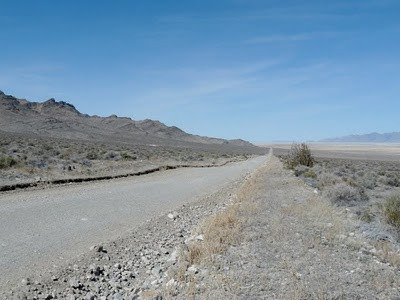 Besides the wind that's blowing tumbleweeds from one end of the valley to the other (which is no mean feat in a valley that's over 100 miles long! 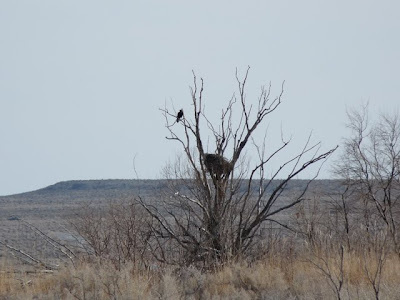 ), we are starting to see some different birds, like killdeer and sandhill cranes. The ravens are sitting on and near their nests. They have always finished nesting by the time we do breeding bird surveys in June. 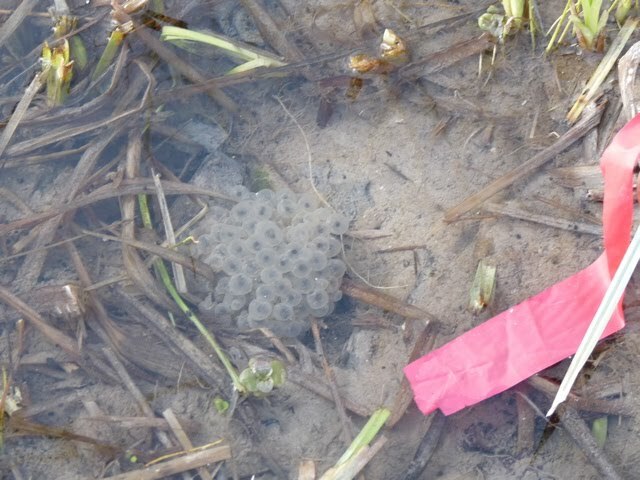 Little balls of eggs, frog eggs, are another good indication of spring. These are from Columbia spotted frogs. Each male only mates with one female, and each female only makes one ball of eggs, so if you count the egg masses, you can get an approximate count of the adult population. Because the adults can be very hard to detect, this is the usual method to track frog populations in this area. It's nice to see these signs of spring. More will be coming soon! 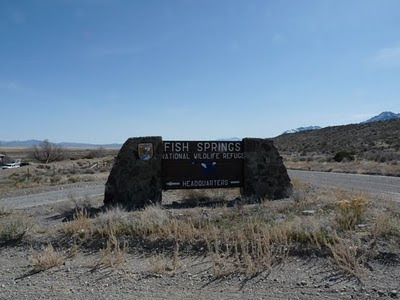 On Saturday, a 19-year resident and the manager of Fish Springs National Wildlife Refuge said farewell. We went up to join in the celebration of all he's done. Jay still manages a big grin despite living in one of the most remote places. To give you an idea, his mailbox is about an hour away. 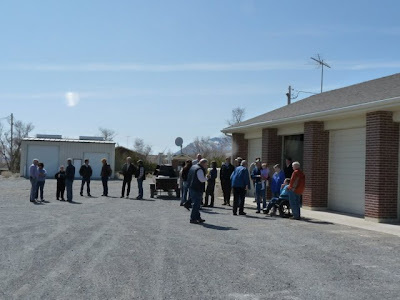 His leaving attracted people from various parts of the Fish and Wildlife Service, Utah Department of Natural Resources, Dugway Proving Ground, Brigham Young University, and other places. 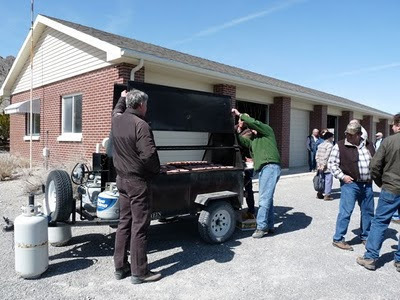 Burgers and brauts were cooked on the portable grill. Portable all being relative, of course. 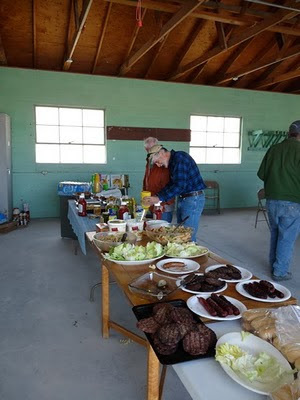 It was an impressive spread of food for being out in the middle of nowhere! 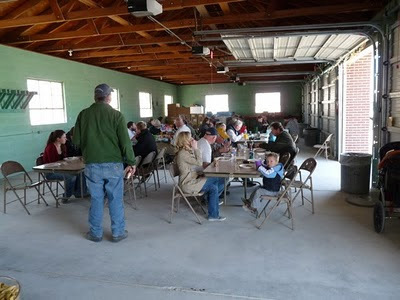 We ate in the fire/maintenance shop, which had really been cleaned up nicely. At the end of lunch, a number of presentations were made commemorating Jay's lengthy career. 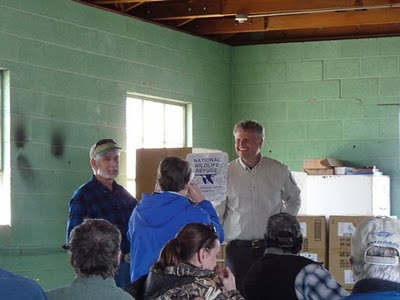 Here new refuge manager Brian Allen presents Jay with a national wildlife refuge sign that all the attendees signed. 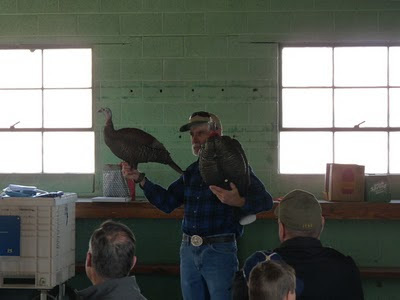 Jay also was presented a group gift of turkey decoys. Jay is going to be retiring to a not-as-remote place in Utah. Nevertheless, he probably has some of the wonderful Fish Springs scenery etched in his memory. 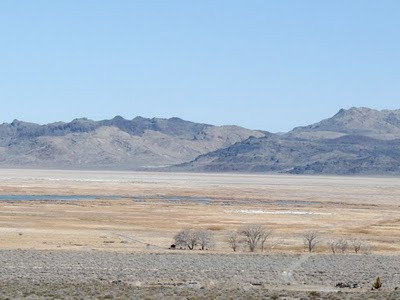 The springs and surrounding vegetation still have their winter colors. The winter air makes the mountains seem sharper and the air crisper. It is stark and beautiful at the same time. 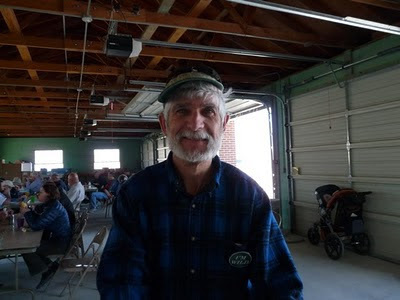 Thanks, Jay, for taking the road less traveled, and being willing to help protect public lands way off the beaten path. We're starting to get that nice spring weather where it's possible to wear shorts and t-shirts even though there aren't even leaves on the trees. 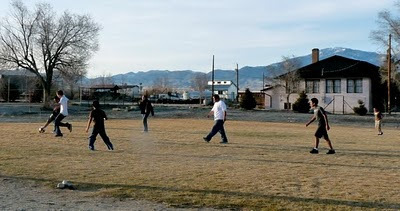 Some kids took advantage of the weather after school and played soccer at the playground in Baker. 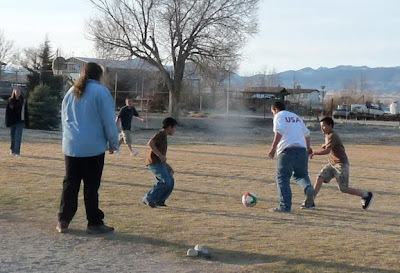 They were still playing even after the sun went behind the mountain and the long shadows had disappeared. There's a fairly regular Sunday afternoon soccer match open to anyone who's interested and ready for some good exercise.